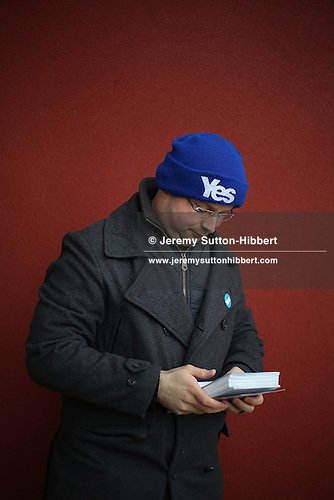 Patrick, Yes Scotland campaigner, in Glasgow, Scotland. ©Jeremy Sutton-Hibbert 2014, all rights reserved. Many thanks to Patrick and colleagues for their help. See the full set of images, and licence them here, on Getty Images. 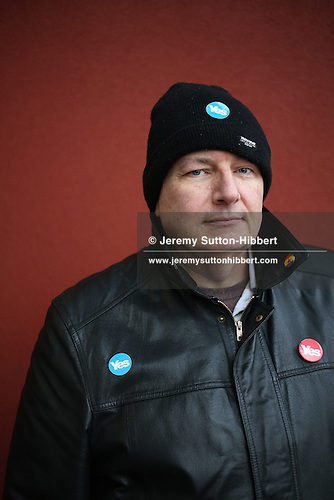 Dave, Yes Scotland campaigner, in Glasgow, Scotland. ©Jeremy Sutton-Hibbert 2014, all rights reserved.